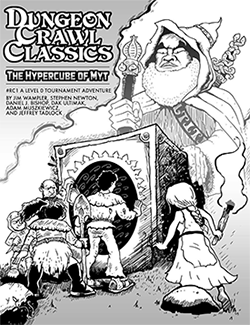 Joseph Goodman and his minions – plus special guest Robert Bledsaw II – preview and discuss the exciting new releases coming from Goodman Games in 2015, including new Judges Guild reprints, DCC Lankhmar Patrons, Against the Atomic Overlord, Road Crew 2015 info, Metamorphosis Alpha: Epsilon City, and the official announcement of Mutant Crawl Classics RPG! I always love hearing this panel. Thank you Spellburn for always being there to capture these recordings! Thanks for posting. It’s killing me to hear Michael Curtis read my name off for the Lankhmar contest and not be able to go to Gen Con! I just want to say how much I appreciate the work you are doing to preserve the history of our hobby. It is wonderful to see you making sure this bit of history stays with us for a very long time. I think maybe I fixed the mp3 download issue. Try again people.